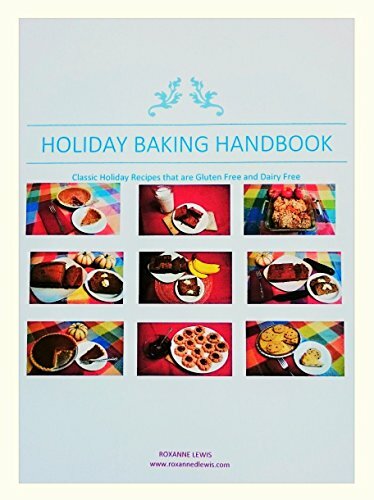 [PDF] Holiday Baking Handbook: Classic Holiday Recipes that are Gluten Free and Dairy Free | Free eBooks Download - EBOOKEE! Description: I sincerely appreciate your interest in baking the best Gluten Free and Dairy Free recipes for yourself and the ones you love. Food allergies and sensitivities are uncomfortably common nowadays due to the way our food is being processed, grown, distributed and other environmental factors. But, we wonâ€™t get into that here. My goal for writing this book is to provide all those who are Gluten Free and Dairy Free with some delicious options so they may enjoy their holiday favorites just like everyone else. One of my favorite things to do is to create healthier versions of peopleâ€™s favorite recipes. Over the years I have tried many different combinations, substitutions and measurements and I have given away an enormous amount of dishes that were tasty but just not right. But, when it finally turns out just the way it is supposed toâ€¦ I get soooo excited! I tried to include as many classic recipes as I could think of but if youâ€™re favorite isnâ€™t in here, let me know and I will send it to you personally. Donâ€™t be shy! Like I said, itâ€™s one of my favorite things to do. As you review and hopefully try each one of these delicious recipes you will notice a few ingredients are repeated quite often. That isnâ€™t an accident and I will explain why I included them but feel free to try some substitutions if you would like to change some things. I firmly believe all recipes are simply guidelines! After you make it once, ask yourself some questions What could I add? What could I do without? Less Cinnamon? More Vanilla? How about adding some nuts? These are YOUR recipes, make them perfect for you! No comments for "[PDF] Holiday Baking Handbook: Classic Holiday Recipes that are Gluten Free and Dairy Free".